Royal Standard of the Principality of Khachen (Kingdom of Artsakh) during the reign of Grand Prince Asan Jalal Vahtangian. 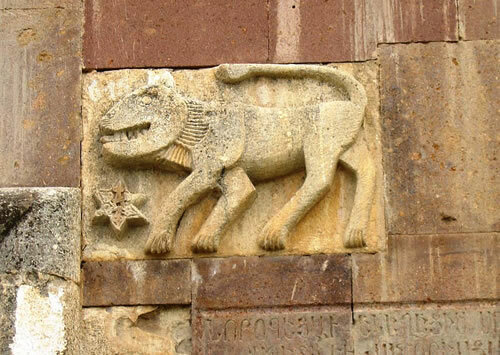 Bas-relief of the Lion—a symbol of the Vahtangian princes of Artsakh, Armenia’s 10th historical province. Some of the excavations underway in Tigranakert. 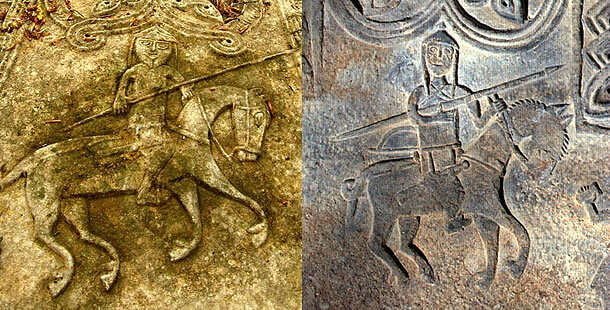 Armenian commanders of the Principality of Khachen’s royal cavalry who defended Gandzasar, fighting against Seljuk Turkish and Mongol invaders in the 12th and 13th centuries. 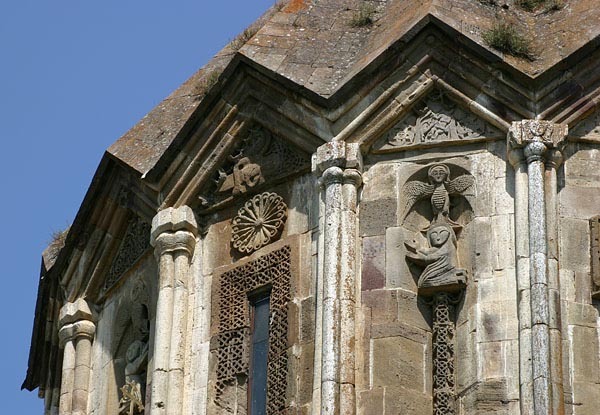 Funerary bas-reliefs at Koshik Hermitage and Gandzasar’s military cemetery. 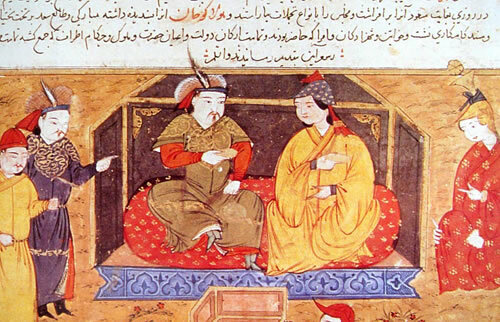 The Mongol Khan Hulagu (reigned from 1217-1265), the ill-famed “butcher of Baghdad”, with his Christian wife Dokuz. Miniature from Rachid Ad-Din’s History of the world, 14th century. 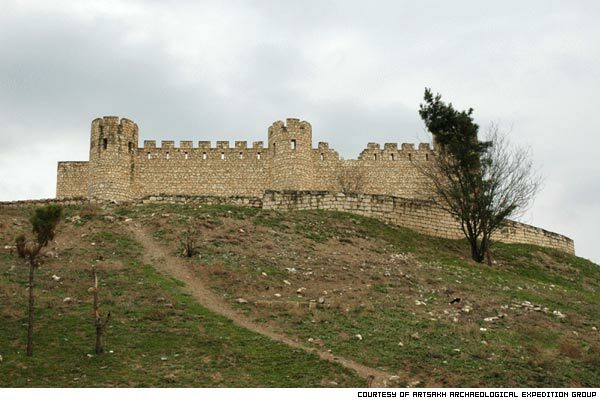 Gandzasar’s patron Hasan Jalal Vahtangian, Lord of Khachen, both fought against and cooperated with Hulagu. 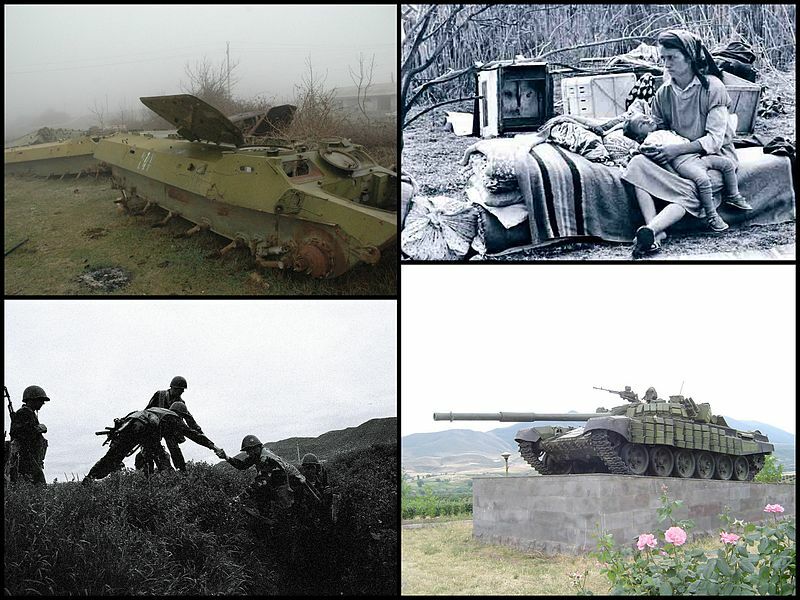 The young people of Armenia and Azerbaijan are calling to bring to naught all differences between the two neighbouring countries and to settle the Nagorno-Karabakh conflict. They are organizing joint actions and are writing songs about friendship. 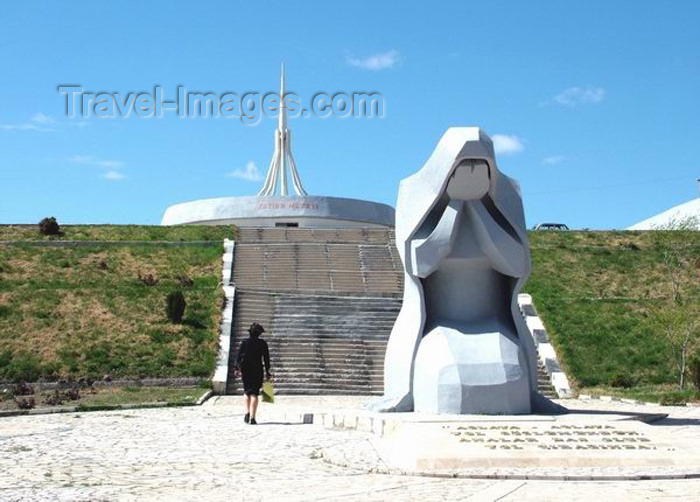 However, for the time being neither the residents of Nagorno-Karabakh nor its authorities are ready for a compromise. The ‘Together’ song appeared in the global network on Youtube after the latest armed clashes on the Armenian-Azeri border. This song was sung by Mger from Armenia, Leila Mammadova from Azerbaijan, and Aik Gulyan from Karabakh. The “Together” song is in Russian because Russian is a go-between language in the Caucasus Region. 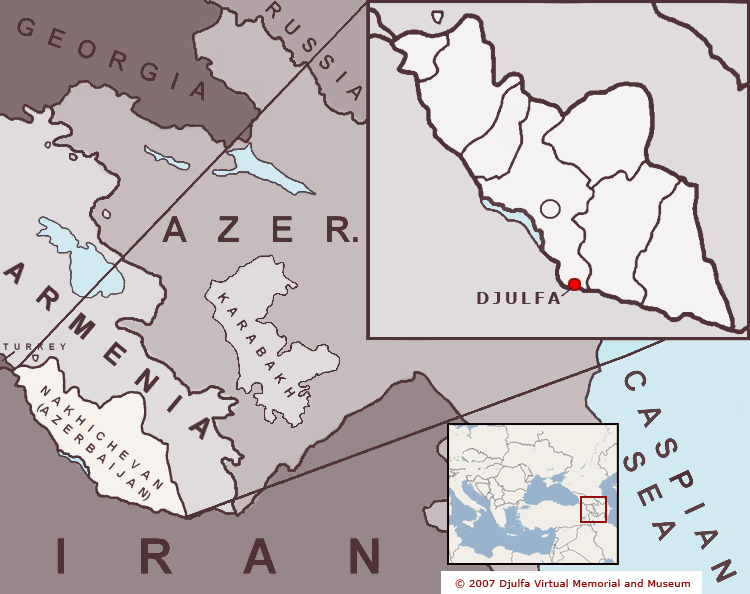 The languages of the Caucasus and English are used in the refrains. 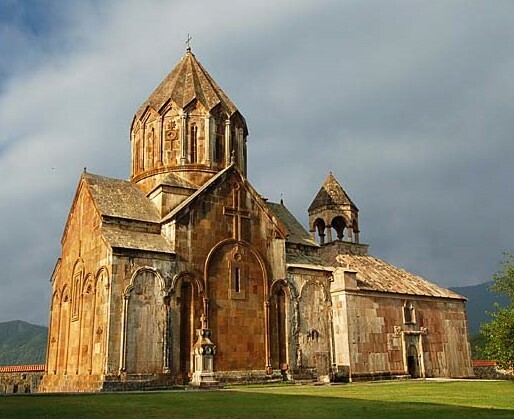 All this is done to draw the three sides closer together, the curator of the project “Together” in Armenia Gayane Sarkisyan says. “This song has enabled designers, musicians, poets and photographers to communicate with their colleagues on the other side of the border and to change their attitude to existing problems. This song will have its own fate. It is being broadcast on the radio now. 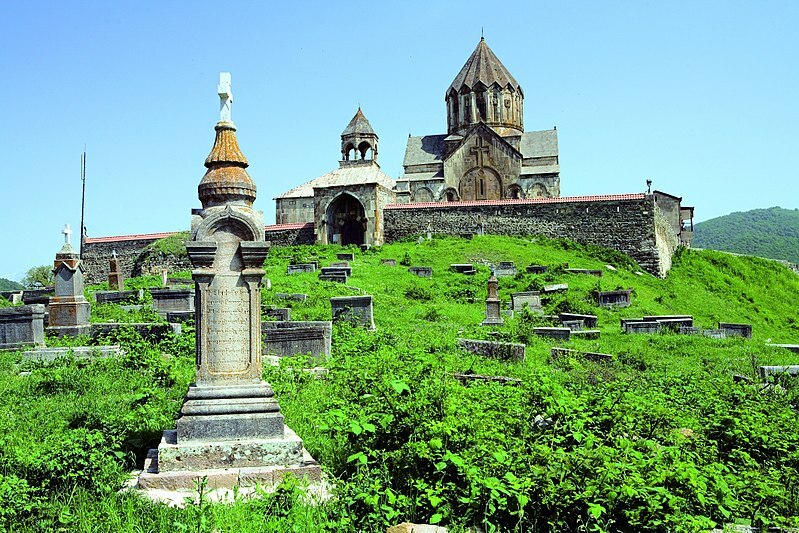 Young musicians, poets, designers, PR-specialists and photographers in Azerbaijan, Armenia and Nagorno-Karabakh united their efforts last October to step up the dialogue between the conflicting sides. 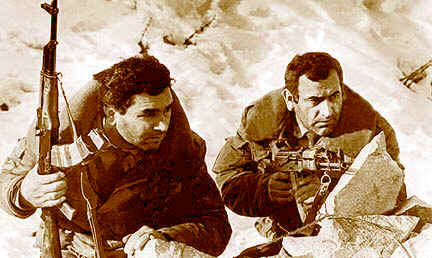 They formed the movement – “Together”, aiming to bring the idea of peace to everyone.